Easily my second favourite month of the year (December being número uno what with Christmas, obvs). The school kids have gone back meaning the queue in the local ice cream parlour is no longer 25 deep each afternoon (very fortuitous timing with the Indian Summer forecast). The Great British Bake Off is getting into its stride, with favourites being formed and Ian no longer being star baker every single week. And star spangled Strictly is soon to return, brightening dark Autumnal evenings. The shelves in the local greengrocers are packed full of glorious late summer and early autumnal bounty: blackberries, plums, apples and pears. All marvellous inspiration when it comes to baking. Such as this Pear, Apple and Almond Cake, a twist on a Mary Berry favourite. Preheat the oven to 160C/fan 140C/gas 3. Lightly grease a deep 20cm loose-bottomed cake tin. 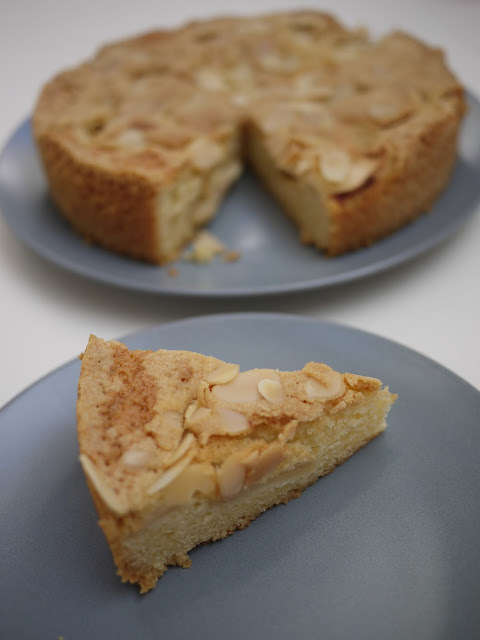 Beat together the flour, ground almonds, baking powder, sugar, eggs, almond extract and melted butter in a large bowl. Spread half this mixture in the prepared tin. Thickly slice the apples and pears and lay on top of the mixture in the tin. 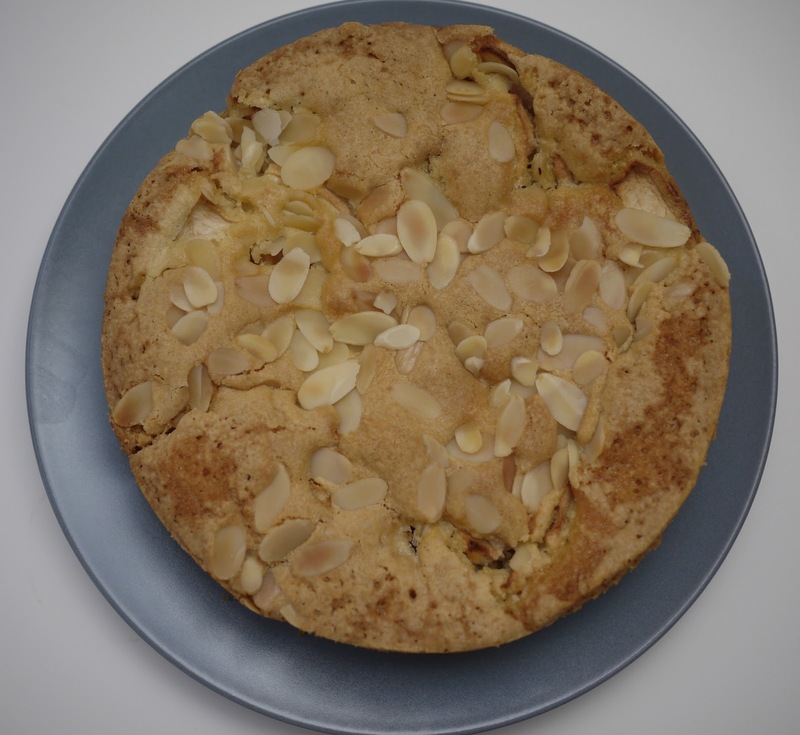 Roughly spoon the remaining mixture over the fruit and sprinkle over the flaked almonds. Looks fab - def for me to try. Made a raspberry and almond one a couple of weeks ago and was a huge hit! Totally agree. I can nearly smell it straight from the oven with custard. This looks seriously yummy! 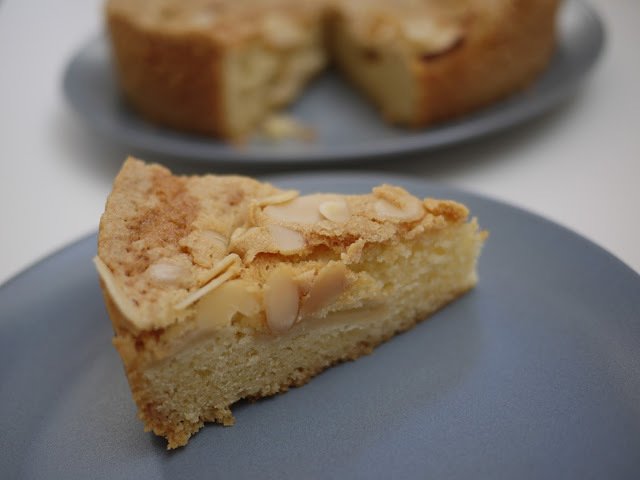 I love squidgy almond cakes. Hurray for Strictly returning too, although I'm sad that Iveta is returning this year. Yum - this is my kind of bake! I always think you know you're on the run down to the end of the year when Strictly starts!